These simple but effective bracelets are made in thick belt hide - 5-8 mm thick and either loop around your wrist once or twice and fastened shut with one large stud. The longer you wear them, the better they age and look. 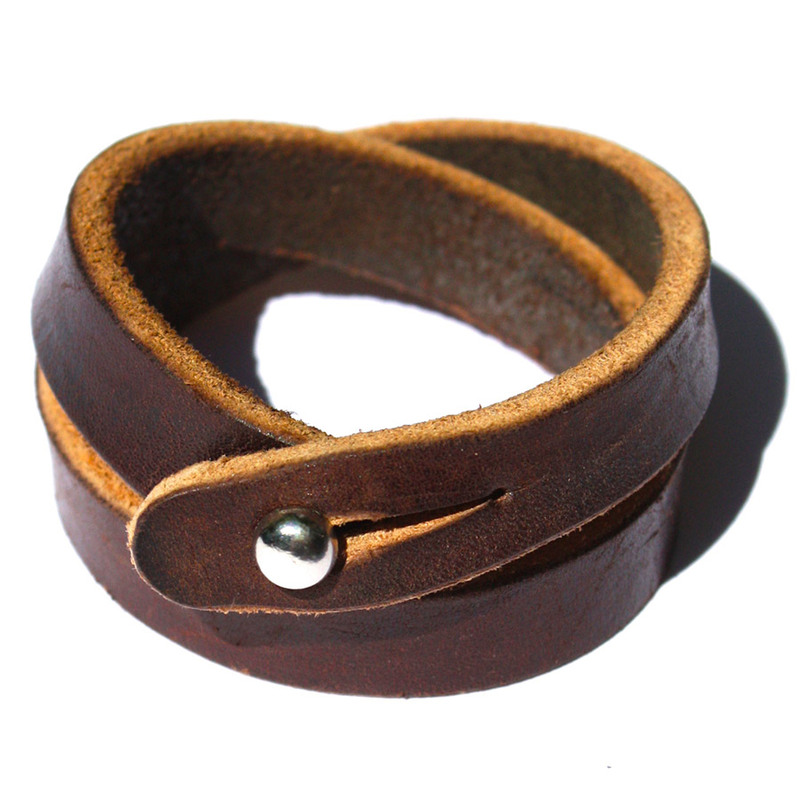 Available in tan and rich dark brown leather belt leather.